Xcalibur W allows tags to be applied to devices to make grouping easier. 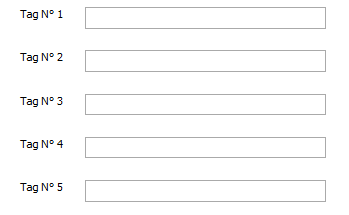 By default, the tags are numbered 1 thru 5. Tags can be given a friendly name via the Personalize menu. 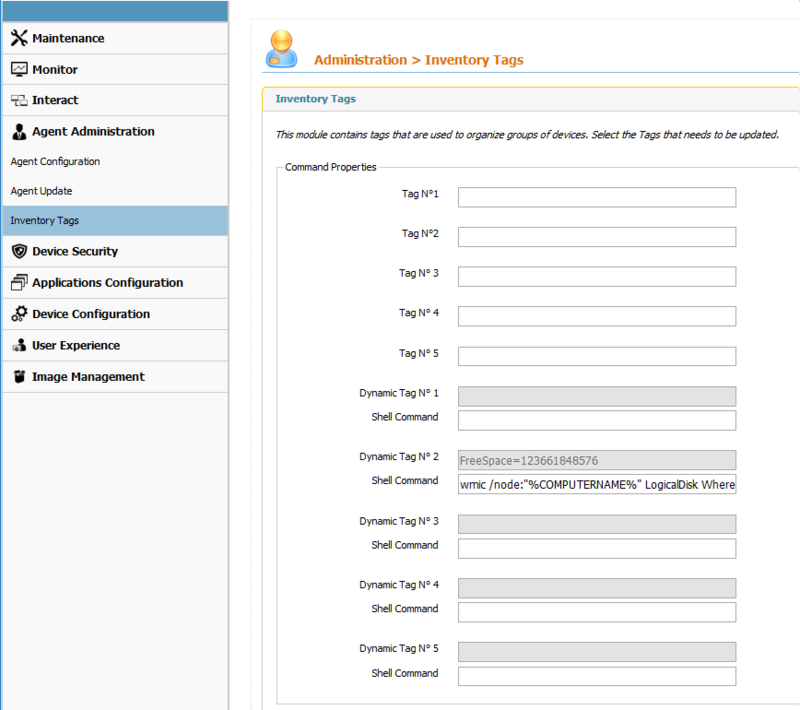 From the device Single View, select Agent Administration > Inventory Tags. Static - These fields can be used to manually enter data such as location, date, numbers relevant for sorting purposes, etc. 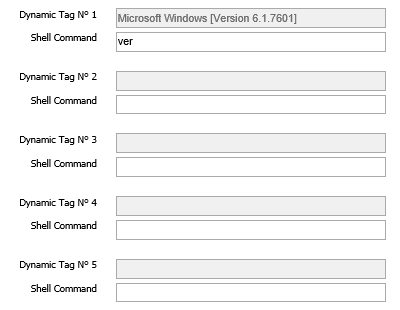 Please note that the tags can also be provided by a DHCP Server. For further details, please refer to DHCP Scope Options. Calculated - Xcalibur W’s powerful dynamic grouping technology lets administrators apply dynamic tags based on query results. Xcalibur W can run DOS or WMIC commands on the target device(s), gather the generated values, and use those values to populate a dynamic tag field. This allows dynamic groups based on, say, the time zone or display resolution of the remote devices. In the example below, we query for the version of the installed OS. As another example, the query below enables to capture the username of the user currently logged in onto the device. WMIC ComputerSystem Get UserName |find /V "UserName" |findstr /r /v "^$"
Take care when using queries to populate dynamic tag fields, as they can be populated with a lot of data. Further information on these WMIC are available in the WMIC Commands Glossary.